By Alessandra Bianco, Marist Italy MA, 2013-14. Sardinia is an island off the west coast of the Italian mainland with a mountainous topography, known for sheep herding. Throughout its history Sardinia has developed its own unique culture while being governed by a number of external cultures, making for a unique food landscape containing many dishes that make use of the sheep on the island or fish from the surrounding sea. This ruggedly beautiful island has a rapidly developing tourism industry, so don’t forget to check it out on your next trip to Italy! Su Civraxiu– A round loaf with a crispy crust on the outside and a soft white bread on the inside. This bread was first introduced to Sardinia when the Romans were in power. 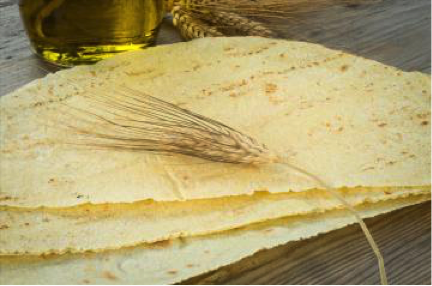 Coccoi– Popular bread not only for its taste but also for its shape which changes from village to village. Coccoi has a hard crust with a very soft inside, and although it is found throughout the whole of Sardinia, it is most common in the Campidano area. Agnello di Sardegna IGP – Tender, lean and white cured meat from the Sardinian lamb which is fed only from sheep’s milk. Pecora arrosto- Roasted lamb alla caraxi. A primitive oven is built by digging a hole in the ground, placing a grill in the hole, and burying a small lamb inside. A wood fire is first started under the meat, and then another is made on top. Malloreddus alla salsiccia– Sardinian gnocchi with a spicy sausage sauce. Malloreddus alla campidanese– Sardinian gnocchi with a spicy sausage sauce and pecorino. 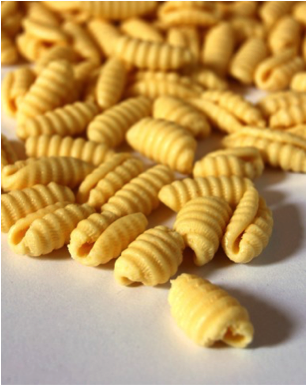 At the Sardinian markets you will find lobster, octopus, sea urchin, king prawns, crab, sea bream, tuna and more. Some favorites include: Fresh Tuna from Carloforte. Bottarga – Cured Mullet roe. Fregola with Arselle: Sardinian pasta served with clams. 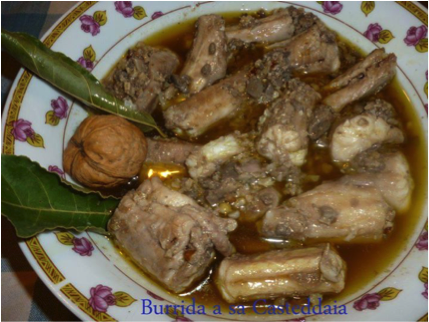 Burrida a Sa Casteddaia (Burrida alla Cagliaritana) – dogfish marinated in walnuts, vinegar and spices.